For those who are used to playing modern shooters on consoles, stepping back in time to try out some classics from the genre in a remastered collection can feel a little jarring. Early Xbox titles like Halo and Halo 2 have different joystick acceleration than their modern counterparts, which some, apparently find hard to use. 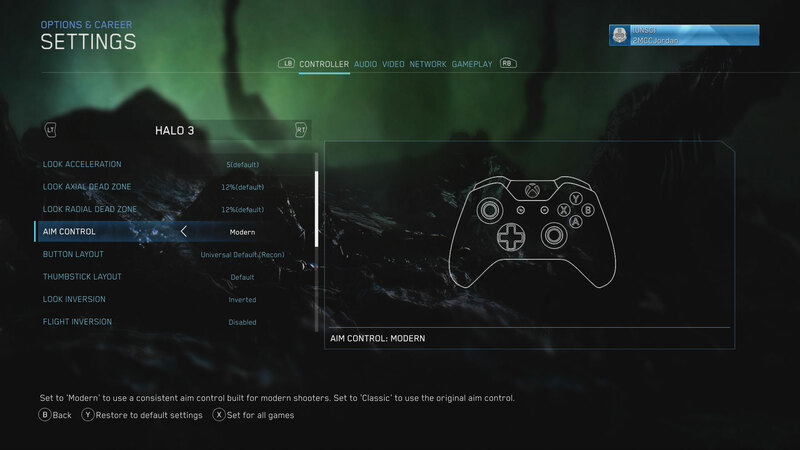 To help correct that, 343 Industries has announced a new option in the controller menu for the latest update to the Halo: Master Chief Collection which it calls "Modern aiming." Modern aiming reportedly adjusts acceleration for the aiming reticule, smoothing out movements a little to make them feel more like the controls used in Halo 2: Anniversary and Halo 4, as per VG247. It also suggests that diagonal movements will be harder to activate, making for more accurate aiming overall for those who prefer it. The new setting will be enabled by default in older games once downloaded, so if you prefer your games to feel like they did when first released then you'll need to hop into the options menu to turn it off. Alongside this update 343 Industries is also adding new Fiesta game mode variants in a mix called Super Duper Fiesta, and new skull options for the original Halo: Combat Evolved make it possible to heavily customize the campaign. Users can make enemies fire more and hit harder, throw and drop more grenades, not flinch from attacks, or improve enemy hearing to make stealth harder. There are also a bunch of new bug fixes for all games in the collection. Aiming and consoles don't go in the same sentence, modern 'aiming' consists of activating iron sights so the game will auto aim for you.